The Aurora Health and Beauty Rotating Shiatsu Foot Massager helps make it easy for you to relax after a long day. It provides an invigorating massage fully controlled by the user. This deep kneading shiatsu Aurora massager with controllable on/off heat provides deep massages into the arches and soles of the feet. Its compact design and easy-to-control toe-touch switch simply relaxes and soothes your feet. The rotating foot massager is not limited to feet. 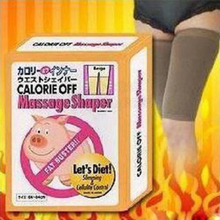 It can be used on the legs, abdomen, waist, back and thighs as well. You can easily control the amount of pressure by simply placing more pressure on the unit or easing up on the pressure. Enjoy and relax in comfort as you relieve your muscles and tension with this unit. The massager works according to the principles of traditional Japanese body work to ease away knots. Aurora Health and Beauty Rotating Shiatsu Foot Massager:Easy toe-touch control for on and offAurora massager features multiple rotating nodes with optional heatPersonalize the intensity with the amount of pressure applied360-degree rotation of the nodes on each head with nodesPromotes blood circulation and soothes minor muscle painRotating foot massager is suitable for home or office useDisclaimer: These statements have not been evaluated by the Food and Drug Administration. This product is not intended to diagnose, treat, cure or prevent any disease. USA! Variable Speed Professional Slim Beauty Fitness Full Body Massager comfort! Bringing a spa-like experience to the comfort of your own home, the aurora neck and back shiatsu massager with heat combines a deep, soothing shiatsu massage with the relaxation of therapeutic heat. Your neck and back muscles will be rejuvenated and relieved of even the deepest of knots and kinks. Perfect for those who enjoy being pampered and especially beneficial to those who suffer from neck and shoulder pains and strains, headaches, and stress. With a busy lifestyle, scheduling a trip to the spa to receive a much deserved massage can be a challenge but the aurora health and beauty neck and back shiatsu massager eliminates the inconvenience of time constraints and expensive spa fees. The Aurora Health & Beauty 3D Kneading Massager Seat and Vibrating Cushion with Heat allows for a relaxing and full-back massage in the office, home or car to help keep you feeling your best. Enjoy a shiatsu-style massage with soothing heat all at the same time to help loosen muscles and relax your back. The shiatsu seat massager with heat concentrates on your back moving up and down or can concentrate on either the upper or lower portion of your back so you can have relief where you need it the most. 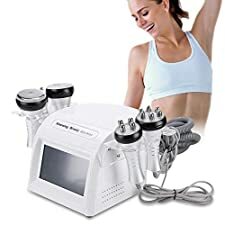 With the soothing heat option and the up and down movement of the massage, it promotes relaxation, tension relief and improved circulation including a vibrating seated cushion. This heated back and seat massager includes a remote control with a remote control holder and a vehicle cigarette lighter adapter, so you can power it up no matter where you go. Clean, exfoliate and refine your skin with the help of this PIXNOR P2017 7-in-1 Electric Beauty Massager. 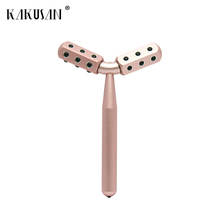 It includes a crude polish accessory that will remove tough skin, a soft latex sponge to massage your eye and cheek areas and a make-up sponge to massage and clean your skin. 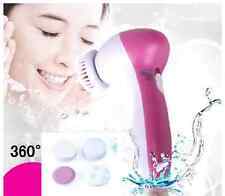 This waterproof portable face massager also comes with a rolling massager that stimulates blood flow and promotes circulation and a short, soft brush that clears up the surface of your skin. Additional tools include an ultra-fine brush that helps remove dirt and debris and exfoliate skin and a pumice applicator that smooths rough skin for a polished look. Ideal for use at home or when traveling, this Rose Red beauty care massager requires the use of two AA batteries, which are sold separately. 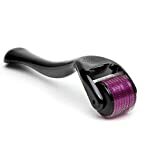 The item is PIXNOR 7-in-1 multi-functional waterproof beauty care massager, which is a safe and affordable way to clean facial skin, exfoliate dead skin and refine skin texture, and keep the skin smooth and delicate. It is powered by 2pcs AA batteries, and provided with 7pcs functional massaging heads for replacement. Only a few minutes, you can have a more healthy, elastic and shinny skin. With portable design and easy to use, it is ideal for both home and travel use. Brand: PIXNOR.Model: P2017.Color: light blue.Material: durable hard plastic.100% brand new and high quality 7-in-1 Electric Beauty Care Massager Facial Massager Cleaner.With 7pcs functional waterproof massaging heads for replacement to meet your different needs:Only a few minutes, you can have a more healthy, elastic and shinny skin.Massage and application of cream to better penetrate the skin and keep it nourished and hydrated.It is operated by 2 x AA batteries (not included), and has 2 rotation speeds (high /low speed).Streamline design and compact size, ideal for home and travel use.Notes1. To extend the service life of the massager, please take out batteries after every use.2. Clean all the massaging heads accessories carefully with water (do not use alcohol or detergent), then air dry them.3. Keep the unit and all the accessories out of reach of children.4. Do not disassemble the device if not being professional.